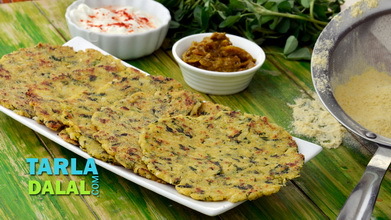 These are a regular part of a Rajasthan meal and sometimes variations are made by adding methi leaves or coriander leaves to flavour the dough. 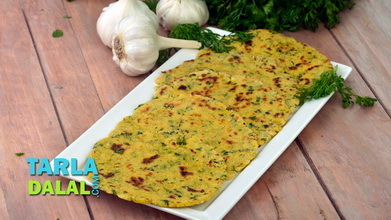 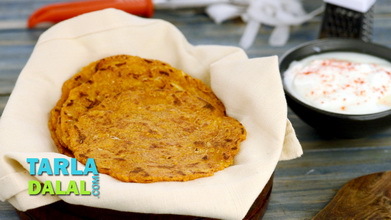 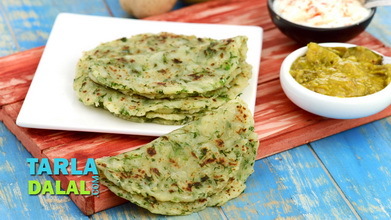 Missi Rotis are eaten throughout the year except in the winters when bajra rotis are preferred. 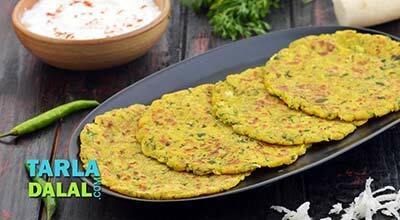 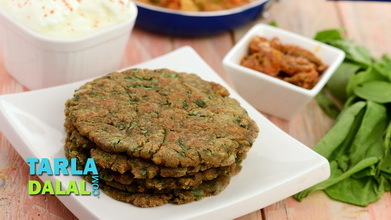 Serve these with a spicy vegetable or a tongue tickling launji to make a delicious meal. 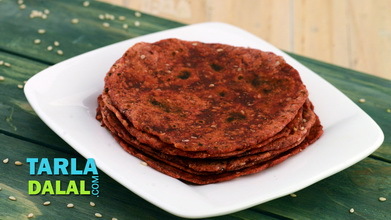 Roll out each portion into a 100 mm. 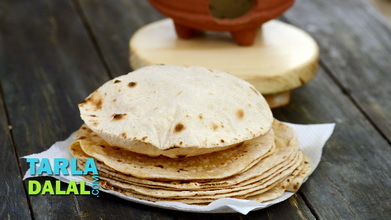 (4") diameter circle using a little whole wheat flour for rolling. 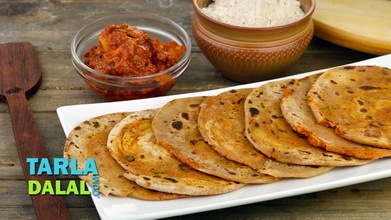 Heat a non-stick tava (griddle) and cook each roti, using a little ghee, till they turn golden brown in colour from both the sides.